Many people don't realize how much coordination it takes to eat. The simple act of picking up a fork or a spoon can be difficult for individuals who have tremors from Parkinson's disease or are experiencing joint pain associated with arthritis. Holding a utensil and using it to move food into the mouth can be interrupted by shakes. Special silverware may contain weights or batteries that make each knife, fork and spoon shake to counteract the natural tremors of the person holding them. Ask your senior loved one if he or she has trouble eating and would be interested in trying a tool like this. Holding on to larger items can also be an issue for individuals who get the shakes. Sudden bouts of the symptom may cause seniors to spill beverages or even drop a full plate of food to the floor. To address this issue, consider providing your loved one with dishes that have grips especially meant for seniors. These cups and plates have extra-large lips that are easier to hold and require less coordination. Look for dishware with high sides to prevent food from falling off, and consider also finding ones that have sections for different foods to make it easier to scoop the food with a utensil. 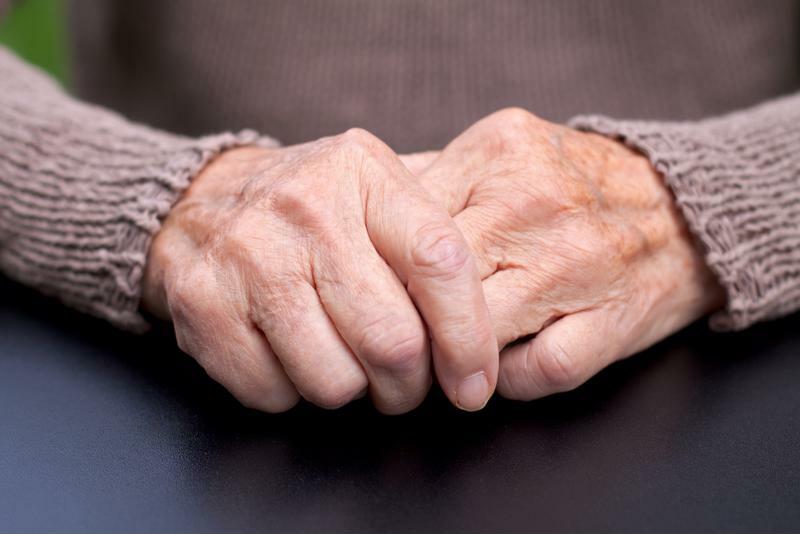 Parkinson's can lead to hand tremors that make simple tasks difficult. Manipulating switches is another task that may become tricky for people who have tremors. Parkinson's disease and arthritis can lead to weakness of the hands and fingers, making flicking a light switch or turning the dial on a lamp a painful experience. Enlargers fit directly over an existing switch or knob and make it easier for senior fingers to turn a lamp or light on and off. Seniors who get the shakes may have a hard time buttoning up a blouse or zipping a pair of jeans. Consider helping your loved one pick out clothing that doesn't have these features. He or she may also experience difficulty with shoe laces, so look for slip-ons or Velcro instead. The key to assisting a senior with tremors in adjusting simple daily tasks for an easier and less painful experience is to acknowledge the issue without making the individual feel weak. Think of the above items and similar products as tools to enhance normal life. If your loved one experiences tremors that greatly affect his or her quality of life and safety, consider transitioning the individual to assisted living. These communities offer around-the-clock medical staff and adaptive tools to promote health and well-being for seniors.